A small but important update is rolling out to Google Assistant on Android. 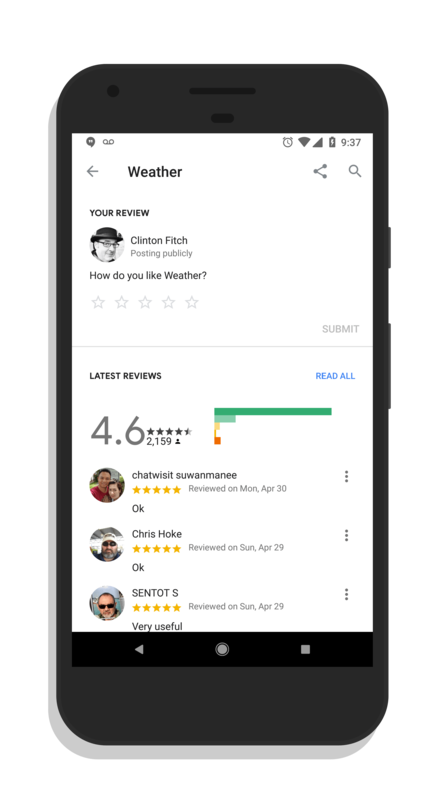 You can now rate apps and services leveraged by Assistant to give your feedback on how well it works or doesn’t work. It is a cloud side update so as long as you have the latest Google app installed, you should be good-to-go. To access the apps and services in Google Assistant so you can rate them, long press the Home button on your phone then press the blue envelop in the upper right corner to open up the Assistant Explorer. You will then see suggests services and apps that tie into Assistant as well as services that you already use. Once you find the service you want to rate, tap it and scroll down. There you will see where you can put in your own review of the app as well as see the ratings of other users of the app. It looks very similar to the app ratings you will find in the Google Play Store. With more services tying into Assistant seemingly every day, much like the Play Store, ratings will become increasingly important. This will help those who are new to Assistant find apps and services that work well but also will provide feedback to developers on what they need to improve in their service to make it more usable within Assistant.